Before ET, Steven Spielberg dabbled in animal movies too with Jaws released in 1975. The movie was based on a book written by Peter Benchley of the same title. It narrated about a giant shark which attacked human beings on Amity Beach. There was a major hunt initiated to capture the giant shark. 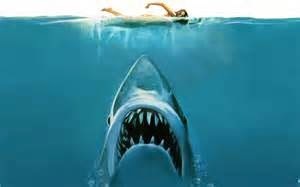 With a spine tingling soundtrack composed by John Williams, moviegoers waited with heavy breath every time the soundtrack was played to signal the appearance of the giant shark. The movie scared millions of people that for a time, some beaches across America were deserted. 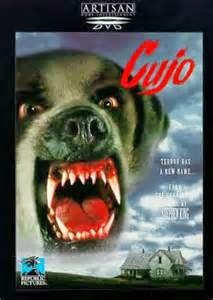 Cujo is a movie (1983) based on Stephen King’s novel (1981) of the same title. The movie was about a friendly St. Bernard dog which was bitten by a bat after chasing a rabbit. It became rabid and went on a killing spree around the village. The movie was scary because a dog is supposed to be a man’s best friend and the thought of a rabid dog in real life situation is really frightening. When it comes to directing suspense and horror movies, nobody does it better than Alfred Hitchcock. 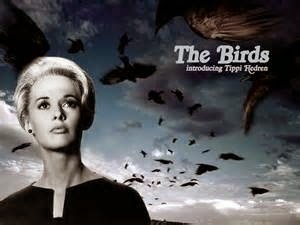 The Birds was well received commercially and critically way back in 1963. The movie was about of flock of birds that attacked a small town. One of the scariest scenes in this movie was when village people gathered in a school ground waiting and preparing to battle the birds. Piranha is a 1978 thriller about a government project which was tasked to develop ravenous species to be used during the Vietnam War. However, the war ended, the project was shelved, and species were poisoned. But quite a number of them survived and propagated. 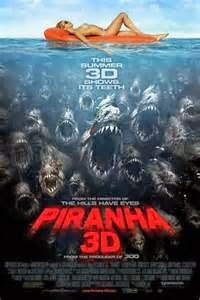 Piranha populated the entire river of a small town and feasted on people who took a dip in the river. The school of piranhas was not entirely killed in the movie. In fact, there was a suggestive tone that the piranhas made it to the ocean at the conclusion of the film. The idea of dinosaurs in modern times was really scary. 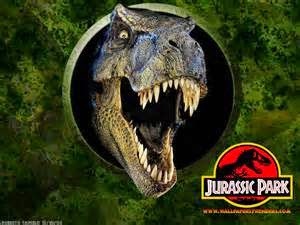 This movie was about a park which was full of cloned dinosaurs. Before it was open to the public, the park owner invited a group of people to certify that the park is safe. Some of the scariest scenes in the movie involved kids. 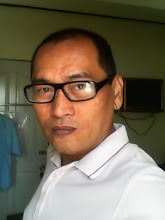 Their own vulnerability and helplessness made millions of moviegoers wishing they would survive and they did. There were other animal movies which were scary as well. But these five movies were all considered as landmark movies. Jurassic Park, for example, paved the way for computer generated animals in movies. Let’s all wait and see if there will be more animal movies that are scarier than the ones mentioned in this article.